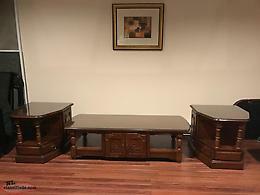 2 SETS OF COFFEE AND END TABLES.MAKE A OFFER NEEDS GONE. 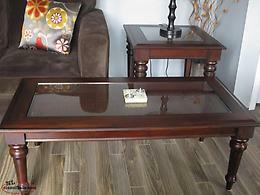 Solid wood coffee and end tables in good shape $175.00. 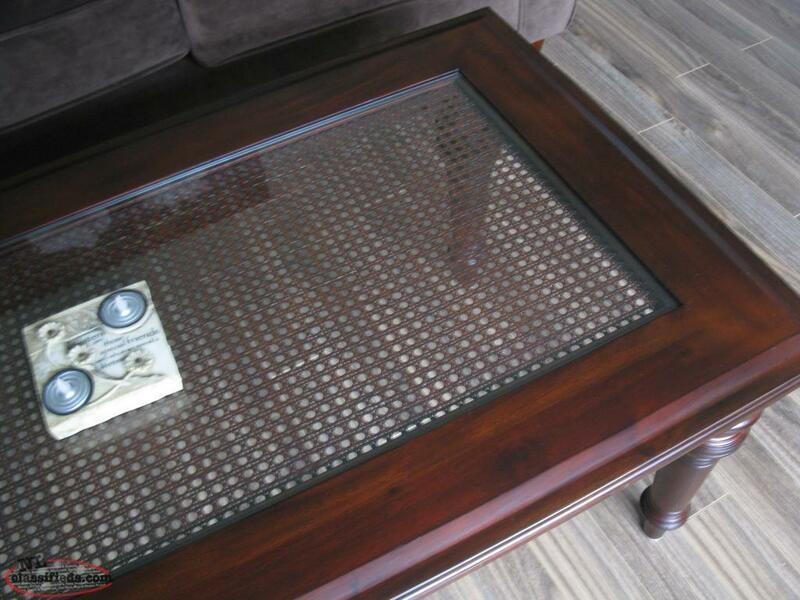 I had 1/4 plate glass tops made to fit cost alone well over the selling price. 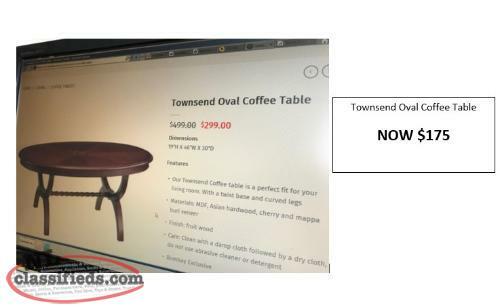 Hi, I'm interested in the 'BOMBAY COFFEE & END TABLES' posted on NL Classifieds! Please contact me if still available.